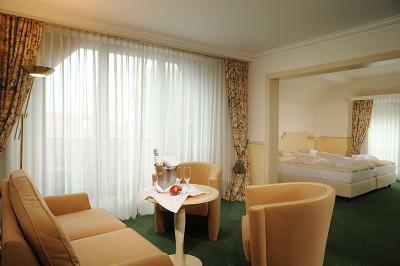 Lock in a great price for Ringhotel Rheinhotel Vier Jahreszeiten – rated 8.6 by recent guests! This is a lovely hotel just outside Dusseldorf. It's a wonderful place to stay, with friendly staff and an awesome restaurant. While it's away from the big city events, it's still just a 15 minutes taxi ride from the airport. Definitely worth a stay if you are looking for something better than the normal chain hotels. Great accommodations! Beautiful facility. Comfy beds. Yummy breakfast. Roomy shower. Very spacious room and bathroom. Pet friendly. Overall very nice stay! Great Location by the river, easy to walk the dog. 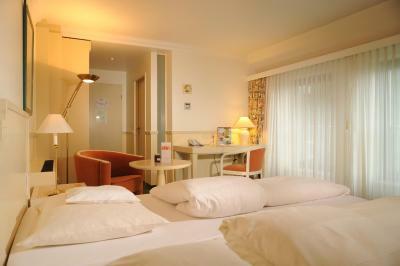 Spacious room with all the necessary comforts. Good breakfast. 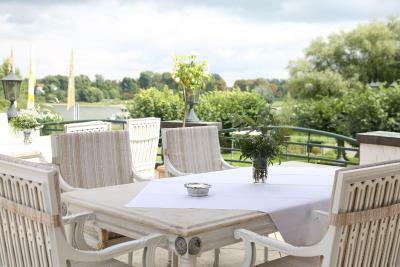 Quiet location in the countryside right next to the Rhein. Clean and cozy. It even has a professional kickboxing bag for workouts in the open.We will be back ! The staff was very friendly! They arranged a room for us for a early check-in without any problems. The decor may be a bit dated but this hotel is very comfortable, the rooms are large and have everything you would want. The location is tranquil and relaxing overlooking the river, with many lovely walks nearby. 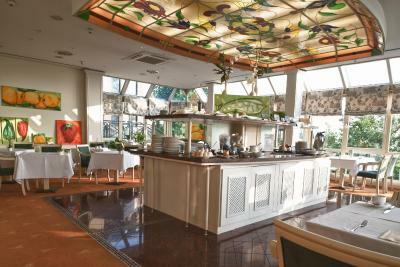 The breakfast was excellent, good choice of fresh tasty food, fresh orange juice and Prosecco. We found the service excellent, efficient and friendly. The restaurant for dinner was not cheap, but well worth it, lovely, well presented food, creative menu made with care. we think it is a wonderful place. 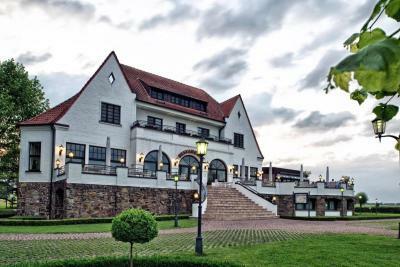 it has class,is located in a great setting overlooking the Rhine river,you can leisurely watch the boats and ferry from the stunning terrace. food is outstanding.the staff is international. 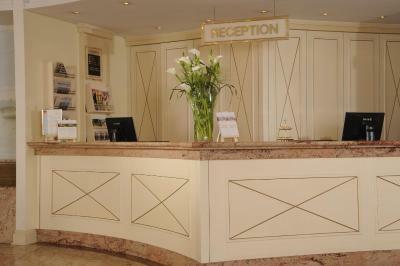 rooms are spacious and rates are really moderate. what else can you ask for? 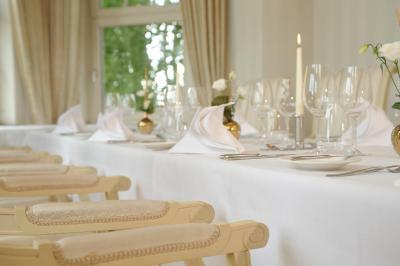 Ringhotel Rheinhotel Vier Jahreszeiten This rating is a reflection of how the property compares to the industry standard when it comes to price, facilities and services available. It's based on a self-evaluation by the property. Use this rating to help choose your stay! 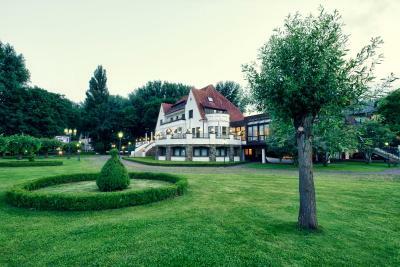 This elegant, 4-star hotel is set in an beautiful green landscape along the River Rhine, on the outskirts of Düsseldorf. 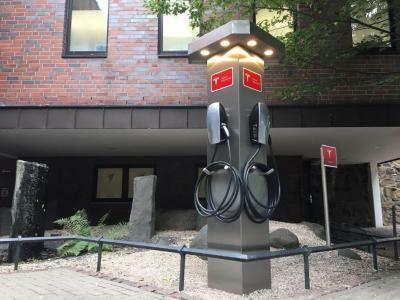 It lies close to the ferry crossing in Langst-Kierst, and WiFi is free in public areas. 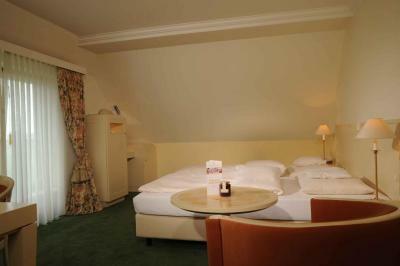 The individually furnished rooms at the nonsmoking Rheinhotel Vier Jahreszeiten include a free mini-bar, internet access and satellite TV. 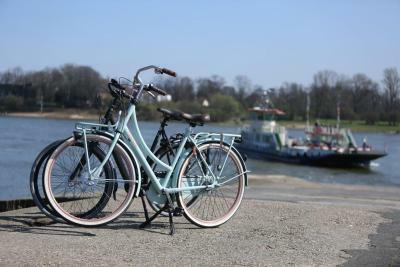 Some offer views of the Rhine. 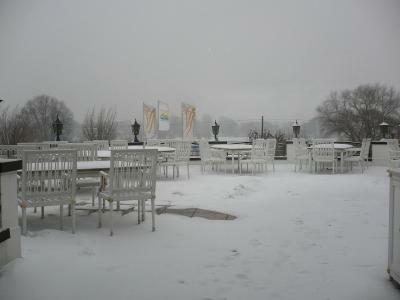 The Orangerie restaurant overlooks the Rhine and serves breakfast and lunch. 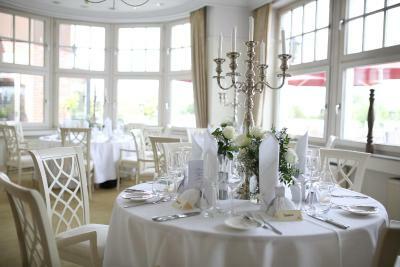 In the evenings, the elegant Bellevue restaurant with terrace offers an à la carte menu. 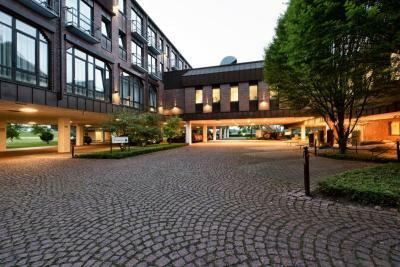 Düsseldorf Airport and the Düsseldorf Exhibition Center can both be reached in 15 minutes from Ringhotel Rheinhotel Vier Jahreszeiten. 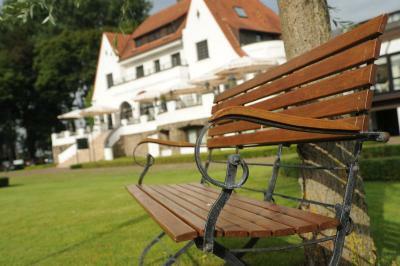 This property also has one of the top-rated locations in Meerbusch! Guests are happier about it compared to other properties in the area. 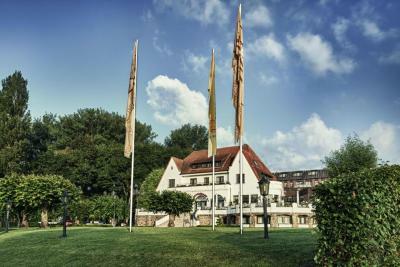 When would you like to stay at Ringhotel Rheinhotel Vier Jahreszeiten? Cozy room offers classic-style interiors, a satellite TV and a mini-bar. 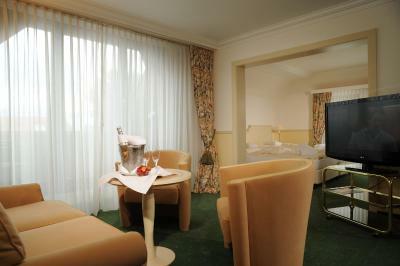 Spacious room offers classic-style interiors, a satellite TV and a mini-bar. 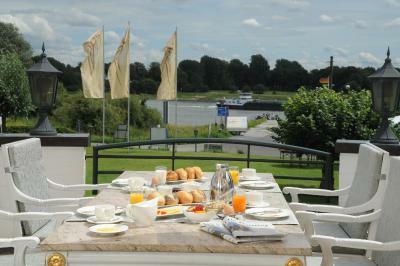 Offers extra space and scenic views of the River Rhine. 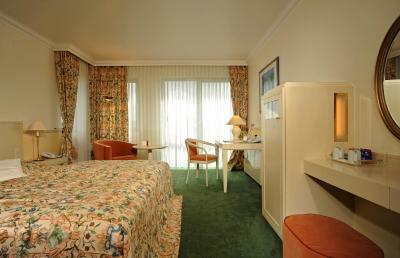 Spacious room features classic-style interiors, a satellite TV and a mini-bar. Offers extra space and a separate bedroom and living room. 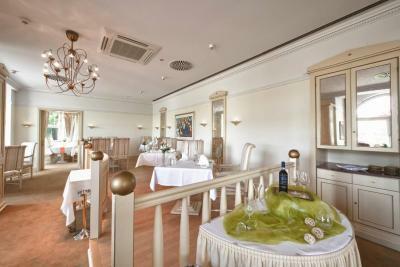 House Rules Ringhotel Rheinhotel Vier Jahreszeiten takes special requests – add in the next step! 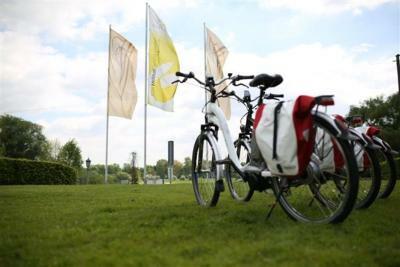 Ringhotel Rheinhotel Vier Jahreszeiten accepts these cards and reserves the right to temporarily hold an amount prior to arrival. The heating system was not very easy to deal with and get the right temperature in my room. Dood prices a bit high. Bed was hard and sagging in the middle. Mattress probably needs replacing.